The internet has drastically changed the way people shop, and this includes the way people shop for their new mattress. While the majority of the population still goes to a furniture/mattress store to try out potential new beds the old fashioned way, there is a growing number that are switching to buying their mattresses online, sight unseen. There has been quite a rise in online-only mattress brands, where they manufacture and sell their mattresses without the use of a physical store-front. These mattresses are rarely any lower in quality but are often much lower in price since these special companies save a lot of money by selling online. Over the past few years, more and more of these unique brands have popped up which leaves prospective customers confused as to which company to go with. Two popular companies are Leesa and Helix. 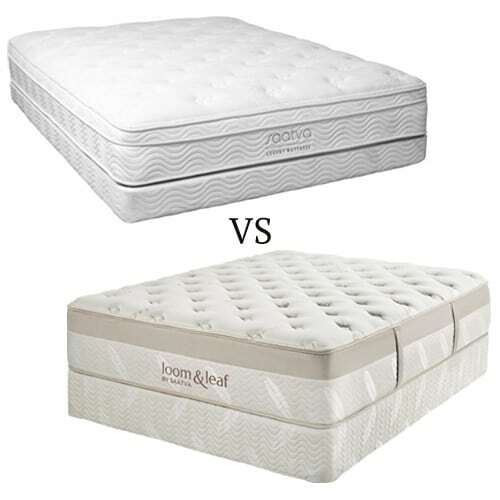 Both are excellent brands but one may be a better choice over the other depending on what you need from your new mattress. The Helix mattress is quite distinctive in how you go about choosing the mattress for you. While many online, direct-to-consumer brands offer a single mattress (like the Leesa) or let you choose from a couple firmness levels, Helix makes this process as customized as you could want. Consumers that wish they could have a mattress made to their specifications will enjoy the process of buying a Helix. These retail prices are regardless of the customization you choose, meaning if you need a super firm mattress or a bed that will help you sleep especially cool you won’t need to pay more. However, there is one option that will cost more, and that is if you are a couple and decide to choose a Dual Comfort bed. This essentially allows each person to custom their side of the bed, resulting in a very reasonable $100 fee increase. This product is currently unavailable on Amazon, but keep checking back for the latest product information. All Helix mattresses are made of foam and microcoils. The base layer is made up for 4″ of poly foam for support, with another 2″ for comfort. The mid layer is 2.4″ of pocketed micro coils for weight distribution. Finally, the top 2″ is Helix Dynamic Foam which is cooling and comforting. The combination of foam and coil is a great combination for those that like the support and longevity of traditional mattress construction but the feel of memory foam. The Leesa is rated as the #1 direct to consumer mattress manufacturer on the market. They are a great brand with a huge fan base, and their bed consistently gets 5-star reviews for comfort. This is quite remarkable because the Leesa is actually a one size fits all situation. They only have one mattress, with no option for firmness as many are accustomed to. Don’t let this fool you though. The Leesa has a solid reputation for a good reason. Check out the latest price here on the queen size! The price of the Leesa is extremely competitive. 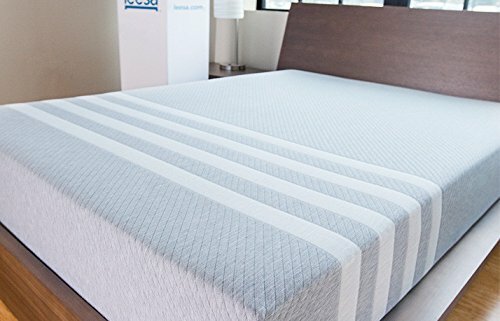 It is less than typical coil mattresses purchased from a store and is right on point for online mattress brands. The risk-free trial is very inviting for someone hesitant to purchase online, not to mention the free shipping is a great benefit as shipping a normal mattress tends to be expensive. The Leesa is made up of three layers. The base layer is 6″ of dense core support foam for stability. 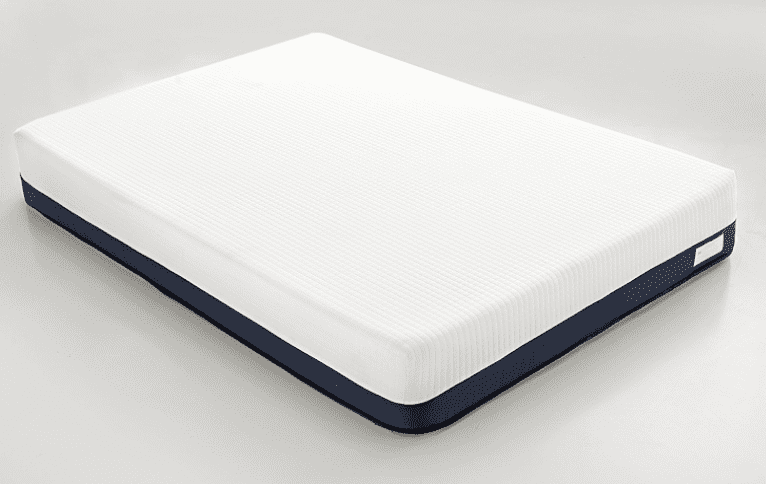 The mid layer is 2″ of contoured memory foam for pressure relief. The top layer is another 2″ of cooling Avena foam which gives a little bounce and plenty of airflow for a foam bed. The cover the bed is wrapped in is very soft and also gives a cool feeling to the bed. Since memory foam tends to run a little hotter than traditionally constructed beds, Leesa really put in the effort to fight this issue. If you do sleep hot you likely won’t have an issue finding this bed to be breathable and comfortable. 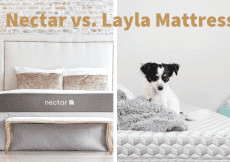 For another mattress comparison, check out my Leesa vs. Casper comparison! Deciding between a Helix or Leesa mattress comes down to budget and whether you have any back issues or other concerns that affect mattress selection. 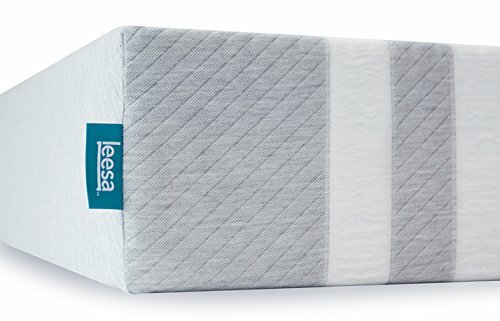 The Leesa mattress is essentially a one size fits all situation. 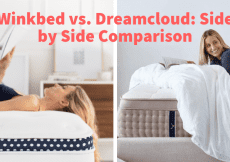 This means it’s less expensive but you get no customization to account for whether you prefer a firmer or softer mattress, or if you are a couple, if one partner prefers a different firmness. Leesa, like many other online mattress brands, tends to market towards a crowd under 30, since the price and whole online vibe are very appealing. Customers within this age bracket typically just want a comfortable bed and that’s where their worries end. They probably don’t have back pain or require a firmer mattress for health reasons. The Helix is a much more personalized experience and allows you to have a mattress made for your specifications. The quiz helps you decide which is the best for you, and accounts for sleep needs that differ from your partner. The price difference for a custom mattress from Helix isn’t really that much more than Leesa, considering you have no control over mattress type from the latter brand. Both Helix and Leesa are reputable companies with beautifully made beds superior in comfort to traditional coil mattresses. The buying process is much easier, saving both time and frustration compared to buying a mattress from a store with pushy salespeople. If you really need to stick to a budget and you aren’t picky when it comes to comfort, the Leesa would probably be the best choice. If you have some specifications for your new mattress or know you and your partner tend to have differing opinions of what’s comfortable, the Helix will leave you happier.